Biblical Studies and Technological Tools: Biblical maps and mapping resources? I've done a bunch of blogging on biblical maps and mapping that are available in digital format on the web or as part of software packages. 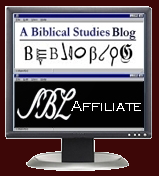 I'm now in the process of trying to compose a more thorough, organized, and formal review for the SBL Forum. If you check my link, you will see that I've been cruising the web for sites/software, and I've checked the nice collections of links at such sites as Mark Goodacre's NT Gateway Listing of Maps and Bible Maps and Pictures at preceptaustin.org. If I have missed something good, or if anyone has a particular site for biblical maps/mapping or preference for a kind of maps or specialized use of maps, please let me know, and I will try to incorporate it in my review. Thanks!